• The Woodrow Wilson formal dining room and the Tiger Bar & Grill, both of which are served by a first-rate wine list. • The Library stocked with over 10,000 volumes, domestic & international publications, a reference section, special collections, and circulation privileges. The Library also hosts lectures and special events. • Complimentary wi-fi internet access thorughout the facility as well as a business center with computers, printers, and copiers. • The Members' Lounge offering a quiet place to relax, read a wide assortment of newspapers, periodicals, and journals, catch up on correspondence, play backgammon, or enjoy complimentary coffee & tea service. • Squash courts and a fully-equipped fitness center offering group classes, personal trainers, and massage therapists. • 52 well-appointed guest rooms and suites available by reservation. Located on West 43rd between 5th & 6th Avenues, The Princeton Club of New York is perfect for those who visit, live or work in the New York City area! All requirements for joining and dues are the same for AFLSE members as for Princetonians. Two professional letters of recommendation are required with application, one of which can be provided by AFLSE. 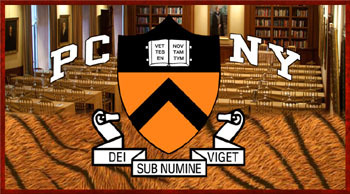 For more information, please visit http://www.princetonclub.com.